7 steps to forty winks. We can help you find the perfect mattress based on your sleeping habits. Start your journey to a better, healthier sleep below. We believe you should always know exactly whats inside your mattress, which is why we disclose the full GSM and contents of our range. In fact, we’re the only retailer to do so. Find out why our guarantee is still unbeatable. You’ll never need to visit a mattress showroom again. Our mission is to supply high end mattresses at realistic prices by selling direct to you, the consumer. For decades, we’ve been building our knowledge of the mattress industry (geek alert!) so we can provide you with unbeatable products. We are members of the Guild of Master Craftsmen and our manufacturers are National Bed Federation approved. Service is at the heart of our bed business. Mattresses are fascinating to us and we want you to feel that passion in every part of what we do. We love to hear from to you, our friendly team are always on hand for a chat. 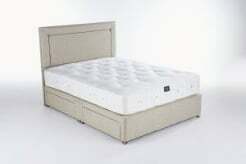 We also have a range of online tools that enable you to conduct your own research about the bed industry as a whole, and how to select your perfect mattress. Our most popular Artisan range of Luxury Pocket Sprung Natural Fibre mattresses are as bespoke as you can get. 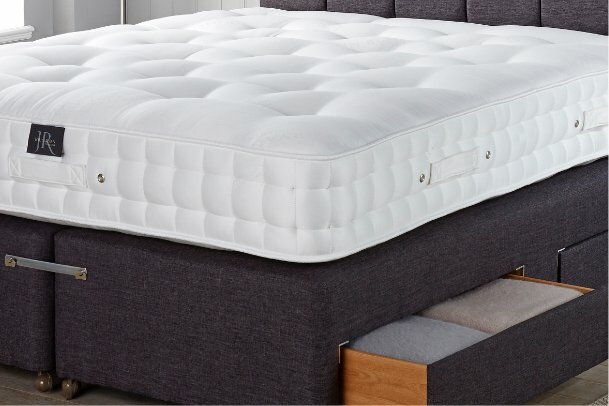 All mattresses within this range can be tailored precisely to your needs by altering the spring tensions across the entire mattress, or by combining two different spring tensions (such as medium in one half and firm in the other). Every mattress is handcrafted here in the UK. the traditional way. As members of the Institute of Spring Technology and Guild of Master Craftsmen, we pride ourselves on being experts in our field. Have you ever thought about buying a mattress but found yourself scratching your head at the kind of information that’s available? There’s a reason for that. The mattress industry is incredibly tight-lipped about the contents of a product because they are easy to replicate. Mattress manufacturers give as much information as they want a customer to know. That’s not how we operate. At John Ryan By Design we focus on selling high-quality mattresses and providing an honest service. 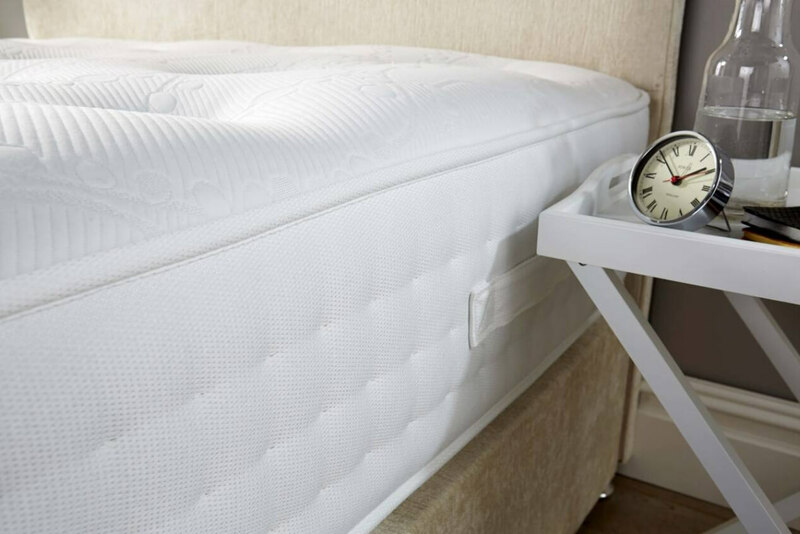 We want you to understand every aspect of a mattress, including size, spring tension, build quality, material and the number of springs in the product. No detail is too small or irrelevant for us because seeing the whole picture will help you make an informed decision. 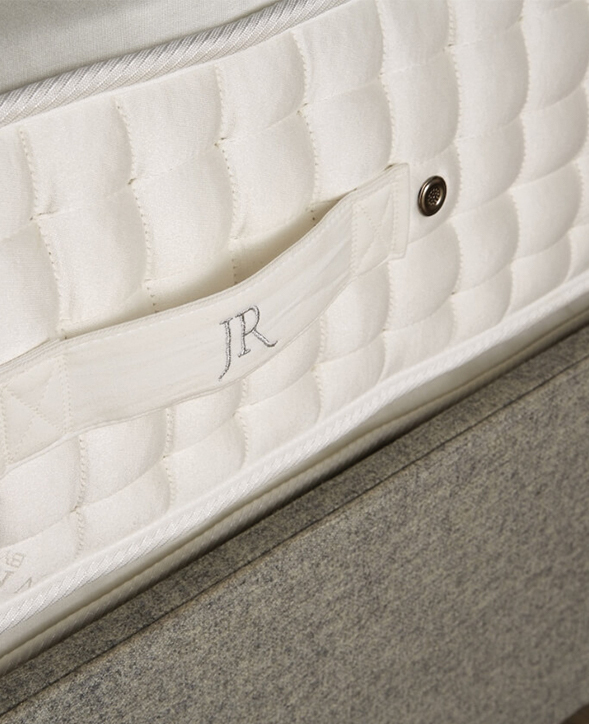 John Ryan was founded on a passion for luxury mattresses and selling them at a realistic price. For thirteen years, we’ve been building our knowledge of the industry so we can provide you with a personal service. As members of the Institute of Spring Technology and Guild of Master Craftsmen, we pride ourselves on being experts in our field. WHAT MAKES US DIFFERENT TO OTHER MATTRESS MANUFACTURERS? Service is at the heart of our business, from the way our mattresses are built, to how we deal with customers. Mattresses are fascinating to us and we want you to feel that passion in every part of what we do. 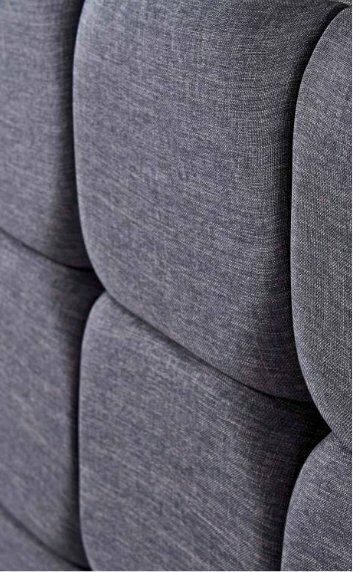 All of our mattresses are built to the highest quality, as cost-effective as they are comfortable. We care about quality and that’s where our 100% Money Back Guarantee comes in. If you’ve bought a mattress from us and you aren’t satisfied with it within 60 days then we’ll come and collect it free of charge. You’ll also be refunded in full and we’ll make sure you find a mattress that suits your preferences. Our guarantee is as good as our word. Sales spiel or making quick money has no appeal to us. WHAT KIND OF MATTRESSES DO WE SELL? ARTISAN – Hand Made Natural Fibre mattresses that are tailored to your specifications. 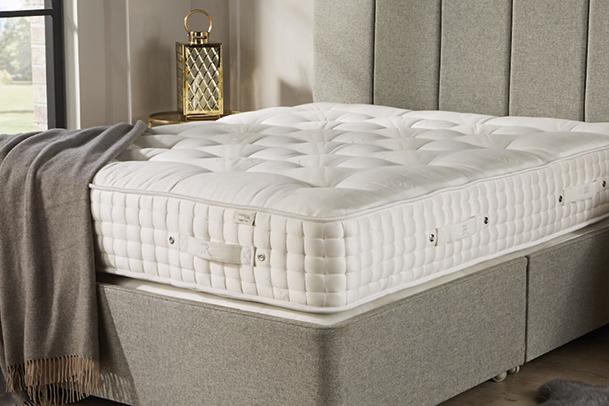 The most popular pocket spring mattresses in our Origins range thats provide plenty of support is the Origins Pocket 1500. It that balances comfort and practicality together. It comes with a three year guarantee and is great value for money. 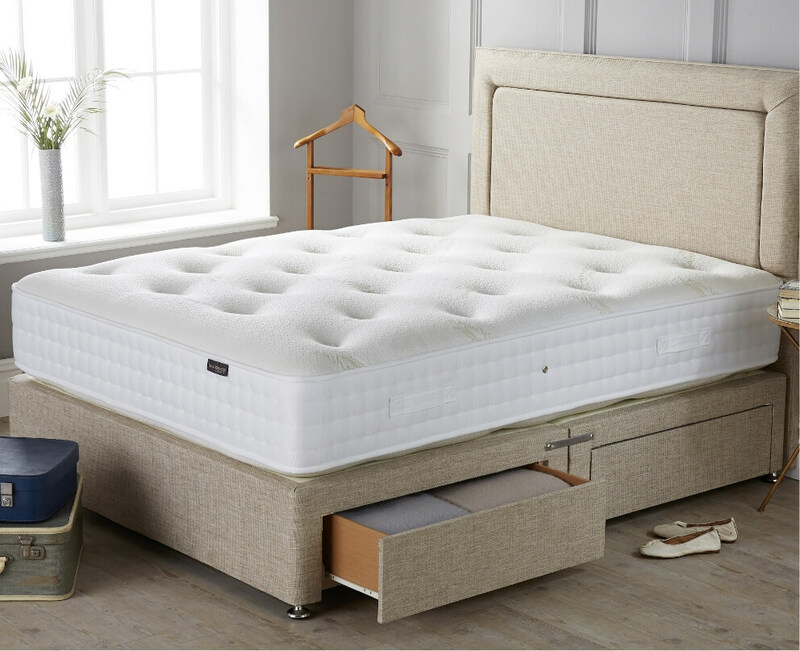 Our Artisan range is perfect for anyone who wants a tailor made luxury mattress. The Artisans Natural is made of 85% natural fibres and comes with Vanadium coated Calico encased pocket springs for extra support. There’s also the Artisan Bespoke 003 that contains layers of Alpaca, Wool, Bamboo, Coir and Horsetail. This product has a fifteen year guarantee, providing the ultimate long-lasting experience. If you have any questions about our mattresses then please get in touch with us on 0161 413 2982. Every decision we make is based on making sure you have a good night’s sleep. Our 100% Money Back Guarantee is an essential part of our business. This works on the understanding that we’ll come and collect your mattress if you aren’t satisfied with it after a 60 day period. We’ll do this free of charge and provide a full refund as well. 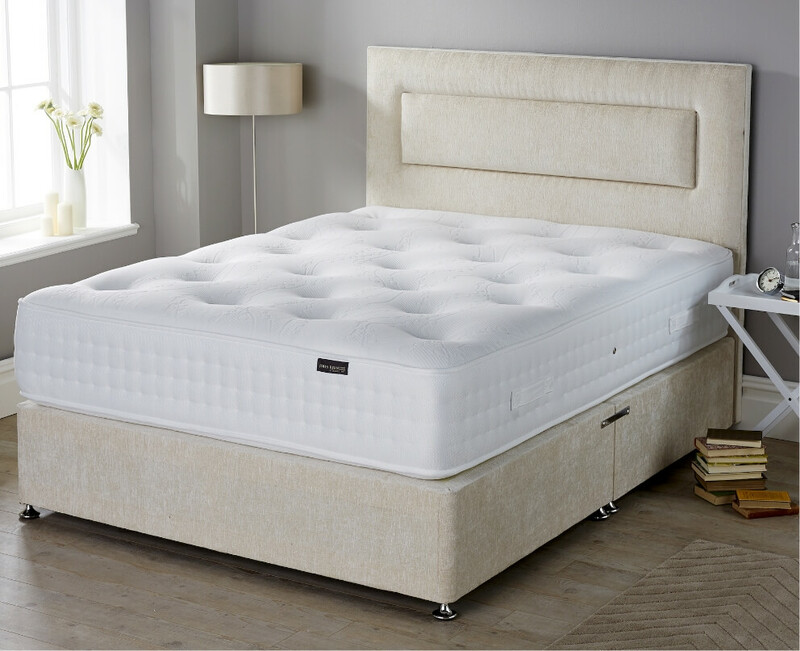 If you’re interested in knowing more about our mattresses then GET IN TOUCH ON 0161 413 2982.